HRV.ie are the distributors of Salda ventilation equipment in Ireland. Salda are a manufacturer of high quality heat recovery systems for both the commercial and domestic markets producing units to cover all applications from apartments to airports. The Salda SMARTY range are the units dedicated to the domestic sector with units covering air volumes from 200m3 to 670m3. The units come with with option of rotary heat exchanger or cross flow heat exchanger and efficiencies of up to 94%. The units are also Passive house approved. Brierley Guest House is situated in the heart of Weymouth town centre. A stone’s throw from the safe sandy Weymouth beach and the beautiful historic 15th Century harbour with its range of bistros, cafés, bars and vibrant night life. Since the reign of King George, Weymouth has become a jewel in the crown of Dorset and is England’s premier holiday resort. The award-winning safe and sandy bay has been known throughout the land for its beautiful bathing waters and family-friendly beach. 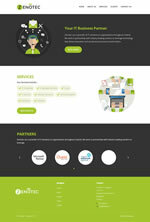 Zenotec are a provider of IT solutions to organisations throughout Ireland. We work in partnership with industry leading vendors to leverage technology that drives innovation and accelerates business transformation. They know that IT is a daily operational feature of running a business and that service must be provided in a reliable, fast and trustworthy manner. But they also recognise that IT can facilitate the growth and meet the requirements of all companies. Their aim is to bring forward-looking thinking to the IT strategy of your business with a top quality day to day service which is delivered with integrity and professionalism. If you are heading to Galway and are looking for self-catering accommodation, the Park Lodge Hotel cottages could be just what you are looking for. Who says that you have to spend a lot of money in order to have a great holiday? Located just 12 km from Galway City, Park Lodge Hotel is nestled between restaurants, bars, shops and craft centres. With a wide range of activities which both individuals and families will enjoy, guests will never be bored. Their aim is to connect employers and employees across Ireland. 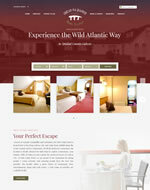 Their website is easy and friendly to use. Please follow the steps on their website to register. If you are looking for a job click on the “I am looking for a Job” option and if you are an employer looking to add a job or search for a candidate click on the “I am looking for an Employee” option to get started. 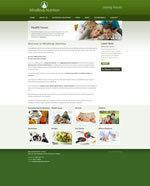 Visit their FAQ section to find more answers. 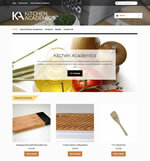 Kitchen Academics are dedicated to providing innovative and problem solving kitchen products. 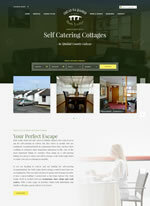 Their aim is to create products that make cooking as easy and enjoyable as possible for you. Their strong customer focus allows them to interact with their customers to hear their real life experiences in the kitchen take note and create solutions where possible. 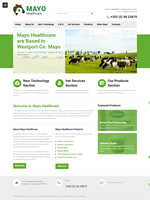 Mayo Heallthcare are an Irish based Animal Nutrition and Healthcare company. They promote an innovative and effective product range primarily focused on the nutritional and healthcare requirements of large farm animals. Established in 1987, they are a wholly owned and managed Irish company based in Westport, Co. Mayo and have a successful track record of product innovation, manufacturing expertise and hands-on market service. They operate in a country where the success of quality agricultural output plays a key role in the economy. From their inception, they have engaged with leading Irish scientists at the National University of Ireland and at Teagasc (Agriculture and Food Development Authority Ireland) in product research and development programmes. Geodrill is a specialist geothermal drilling company delivering quality geothermal boreholes and water wells for both private and commercial clients. They provide a full spectrum of services surrounding the geothermal drilling process including drilling, probe placement and grouting. They can even join your bores to a manifold or plant room using electrofusion welding to complete all joints and flush the bores with glycol/antifreeze. At MindBody Nutrition they provide a professional natural health service offering nutritional and dietary advice and education. This service is available to individuals, families and children, groups, sports clubs, corporate bodies, community services and schools. If you are suffering from a long term illness, have niggling health complaints, or perhaps are trying to improve your current health status, changing how and what you eat really can give an overall positive result. Dietary changes have provided people with relief and recovery from all manner of health problems, minor and major.